Stanton Davis&apos; Ghetto/Mysticism, Samuel Jon Samuelsson Big Band, Jimi Tenor & Kabu Kabu and Fabiano Orchestra. And we&apos;re back for more Wednesday afternoon. Looks like we&apos;ll be heading in a worldwide jazz groove since we got music from France&apos;s Fabiano Orchestra, a new one from Iceland&apos;s funkiest talent, Samuel Jon Samuelsson, and Finnish reed man Jimi Tenor (matched with one of Fela&apos;s percussionists!). Plus, some Galt MacDermot Trio, funky Nigeria from Joni Haastrup and some superhip Shelly Manne. See you Wednesday...at our new time! 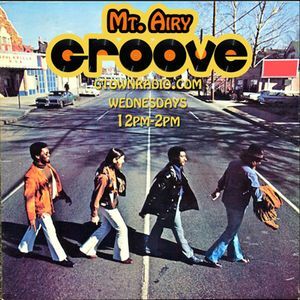 Wednesdays, 12pm-2pm <--CHECK OUT THE NEW SLOT!! !